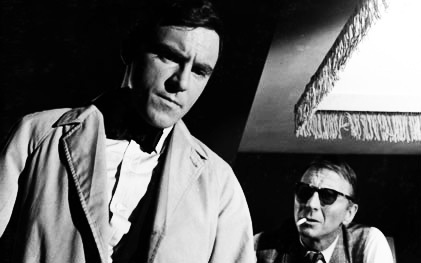 Part of a somewhat tiny genre of British films set in amongst the vice, nightlife and shennanigans of just-pre-swinging London/Soho; alongside The World Ten Times Over, Saturday Night Out and Jungle Street but I expect… well, no, not expect… this is the top of the heap. As a certain gent once said to me about it “Sometimes they just get it right”. 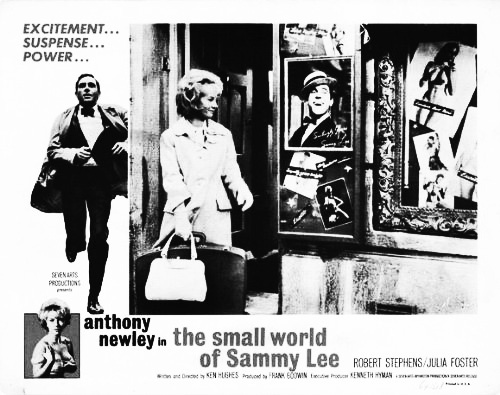 It’s also a lovely document of the streets from that time (and it’s interesting seeing how until at least relatively recently they haven’t changed all that much)… stars a future Steptoe as Mr Tony Newley’s helper and also a future nurse Gladys Emmanuel as a showgirl. I seem to remember making a special trip a fair few miles to see it at the BFI… and of course it then finally appeared on an official shiny disc release. Ah well, well worth it. The soundtrack has relatively recently been sent out into the world by cultural curator Mr Jonny Trunk. One of the places I first came across the film can be found at Cinedelica. Scribing on Sammy’s trial and tribulations by Lady Of Noir Ms Cathi Unsworth at appropriately enough 3:AM Magazine. 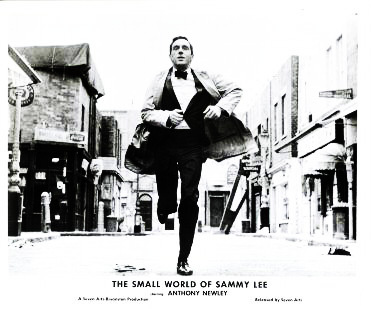 Peruse the London Collection including Mr Sammy Lee here.